Darren Aronofsky has just made 6 films, but all his movies have been surreal, disturbing and visually appealing. Starting his directorial career with the black-n-white thriller Pi , his last film was his 6th one Noah, which released in 2014. He is making a comeback this year with the drama film mother! starring Jennifer Lawrence. From his 6 movies released, here is a look at the best 5 of the lot. P.S. : The Fountain did not make the cut cause I found it boring. Darren Aronofsky’s imagining of the biblical epic of Noah’s Ark was highly anticipated considering the visual panache Aronofsky had shown in his previous films. However, nobody could have anticipated quite how much of a universal bomb this 2014 picture was going to be. High budget but not as well received by the audience, it was a surprise considering the solid cast with the likes of Russell Crowe, Jennifer Connelly, Emma Watson and Anthony Hopkins. This picture was good, but failed to take off and was kinda disappointment by the director’s standards. 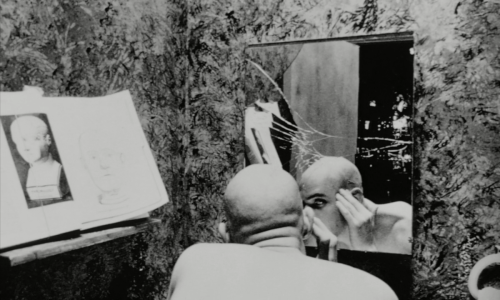 Aronofsky’s debut feature Pi was a visual surprise. Released in 1998, the director chose to shoot the movie in black and white, giving the film a classic noir look. The story is about a mathematician and the obsession with mathematical regularity contrasts two seemingly irreconcilable entities: the imperfect, irrational humanity and the rigor and regularity of mathematics, specifically number theory. Perhaps the most accurate illustration of Aronofsky as an artist due to it’s incredibly low-budget and independent production, Pi is a must see for any fan of Aronofsky’s work, and visually disturbing nevertheless. Undoubtedly the most heart-wrenching film of the lot, The Wrestler is a story of a bad man come good in a world where everything outside of the ropes hurts a whole lot more than what happens inside of them. This movie was considered to be Mickey Rourke’s comeback vehicle and his performance did not disappoint. He is a standout piece of Aronofsky’s puzzle no doubt, but the director’s success was evident at the fact that how he converted a wrestling-based movie into a disturbing yet emotional take on the life of its lead character. Wrestler was numero Uno on several top-10 lists of that year and also earned multiple awards, including the Golden Lion at the Venice Film Festival. The success and acclaim of Aronofsky’s 2010 picture The Black Swan is attributed not only to the director but also to the leading lady, Natalie Portman. She was flawless and was in-sync with the illustrated mastery of Aronofsky as a writer and director. The Black Swan was another exploration of the darker sides of the human condition and became an illustration of the search for perfection, winning the director his first Academy Award nomination. Natalie Portman swept almost every award possible and the movie went on to make $329m worldwide, against a budget of just $13m! I watched this movie about a decade ago and frankly, I couldn’t sleep that night! Requiem is undoubtedly the most disturbing movie ever made on drug-abuse and how it affects your life in the worst way possible. Based on the novel of the same name, the film depicts four different forms of drug addiction, which lead to the characters’ imprisonment in a world of delusion and reckless desperation that is subsequently overtaken by reality, thus leaving them as hollow shells of their former selves. The depiction of drug abuse is probably the best portrayed on celluloid, with the tripping scenes filmed in the most splendid fashion! Also, the soundtrack composed by Clint Mansell has become a cult over the years following its release. 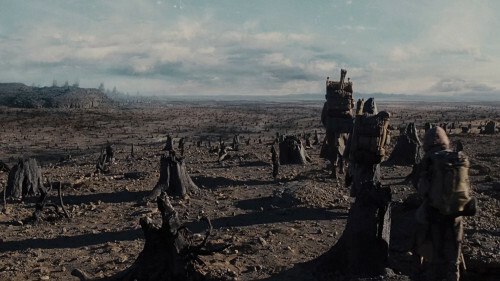 Definitely, the best and the most disturbing from Aronofsky. Hugh Jackman’s Logan : What Do The Reviews Say? Vishal Bhardwaj’s Rangoon : What Do The Reviews Say?